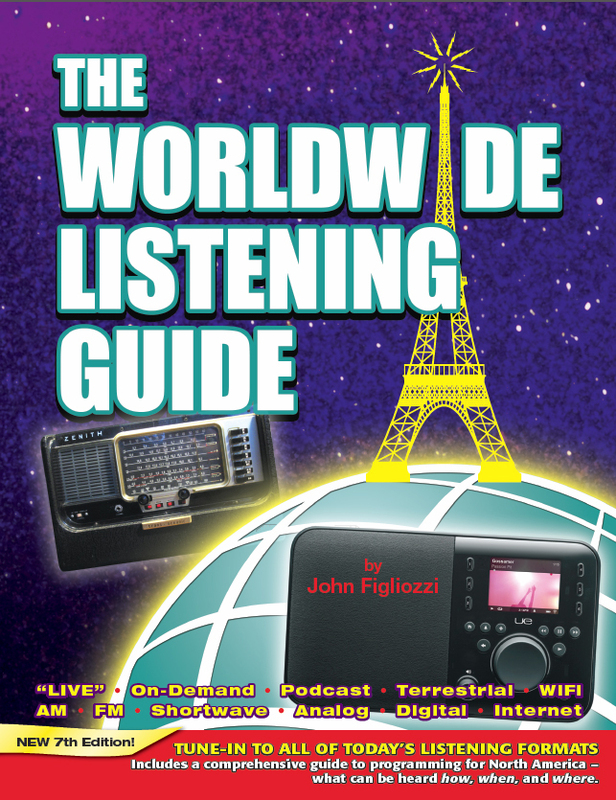 Modeled on the author’s popular Worldwide Shortwave Listening Guide, this new book explains radio listening in all of today's formats: “live,” on-demand, podcast, terrestrial, satellite, Internet, digital, analog, AM, FM, shortwave and WiFi. Here is a comprehensive guide to what can be heard how, where and when. The introductory section explains the many new ways to enjoy world band radio. The main section details programing available to you on an hour-by-hour basis. It actually shows program names, so you may quickly scan it for items of interest. It discusses in detail, the many ways a listener can dial into programs using their computers, WiFi radios, traditional shortwave sets, and more. Wire-bound to open flat in an easy-to-use format. New Seventh Edition. Printed November 2015 W5YI-Master 160 pages. List $24.95. Click here to view larger. Click here to view Eighth Edition.